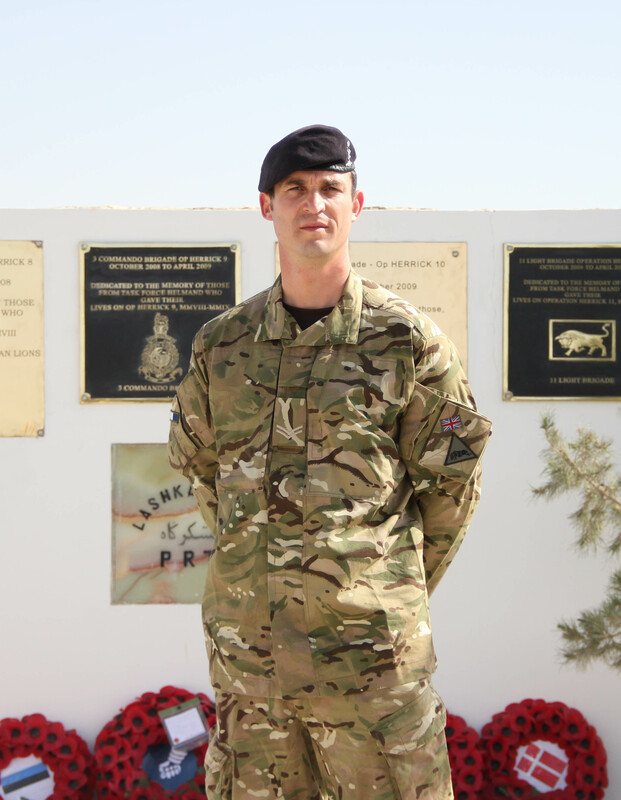 SSgt (FofS (IS)) Kay, a member of 2 Signal Regiment (2SR) and will be working in the Ops team of 246 Gurkha Signal Squadron, based in Camp Bastion for a six month tour on Operation HERRICK 17. 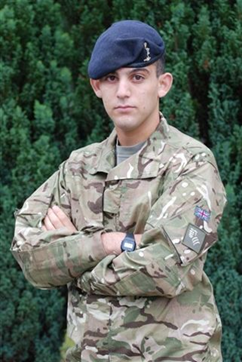 He previously deployed in 2010/2011 with 16 Air Assault Brigade and was based in Lash Gakhar. 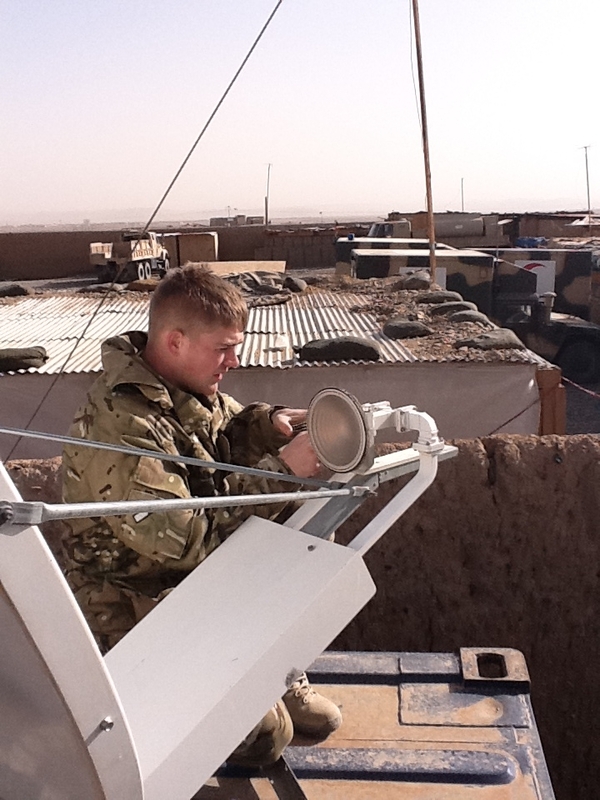 The main tasks on Operation HERRICK 17 concentrate on working as part of a small Operations team ensuring that Fixed Trunk Communications throughout Helmand are sustained in order to enable the Brigade to concentrate on their main tasks at hand in defeating the enemy. I was posted to 2 Signal Regiment to go on tour, and while this is my job and I am happy to do it, I am apprehensive about leaving my wife and children yet again to face yet another Operational challenge. The build up phase to the tour has been encapsulated by STA (Specific Training to Arm) courses which I have had to attend in order to prepare me for the task at hand. 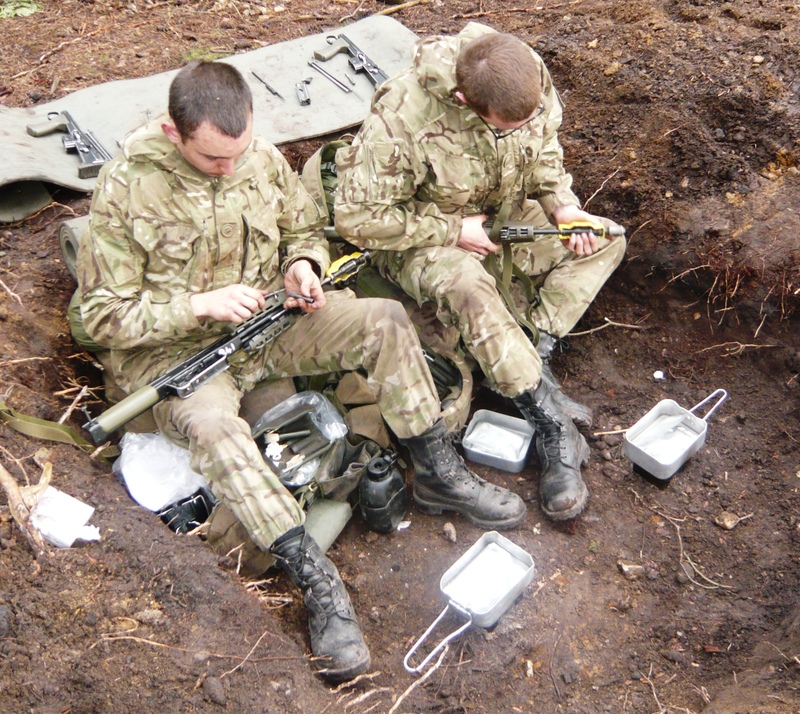 These STA courses have been entwined with mandatory courses such as MATTs (Military Annual Training Tests) and have included developed Infantry range work, all of which has ensured the last 7 months have sped by at a frenetic pace. At least I have had the occasional opportunity to pass an amorous glance at my wife between returning from one course and departing for the next. Annual leave has not been disregarded and the Commanding Officer has ensured that all his soldiers utilise their maximum individual leave allowance to ensure family life is as stable as it can be prior to deployment. Approximately 6 weeks or so before the unit deployed, the Squadron were concentrating on fine tuning the soldiers training, ensuring all deploying personnel are medically vaccinated and all final mandatory briefs have been attended to ensure everyone is prepared for the task at hand. On a personal note, it has recently been confirmed there is a good chance that I could be granted my 2 week R & R period (rest and recuperation) to fall over Valentine’s Day which has put a smile on my face, but maybe not the wife’s! 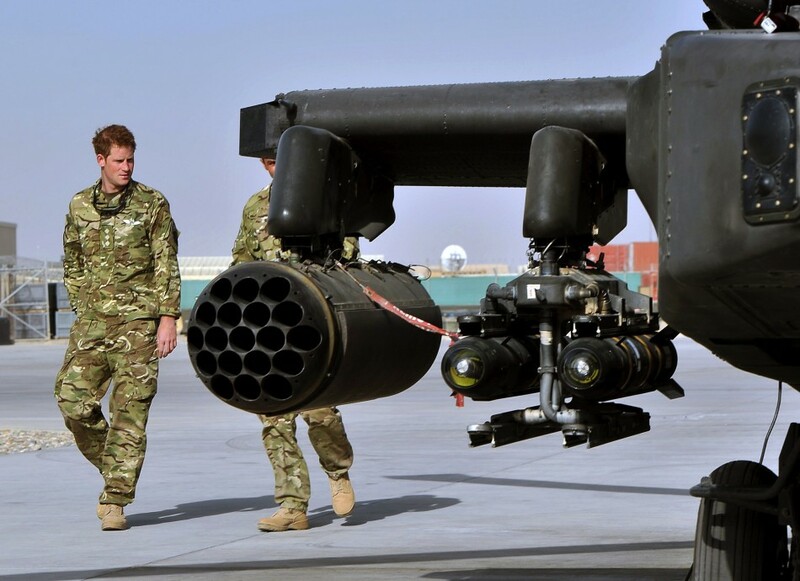 The deployment of Prince Harry to Bastion has raised the profile of Afghanistan recently, which brings more media focus to television, public newspapers and radio enabling families and friends a greater ability to try and understand the conditions facing all deployed soldiers. My children have expressed a desire for me to obtain an autograph from the Prince as a gift on my return. If I cross paths with him in Camp Bastion I may swallow my pride to ask him. Or then again maybe not; the goading I will receive will be too much to take. I now look to the deployment date to commence the countdown to an eventual return back to the United Kingdom in May 2013. 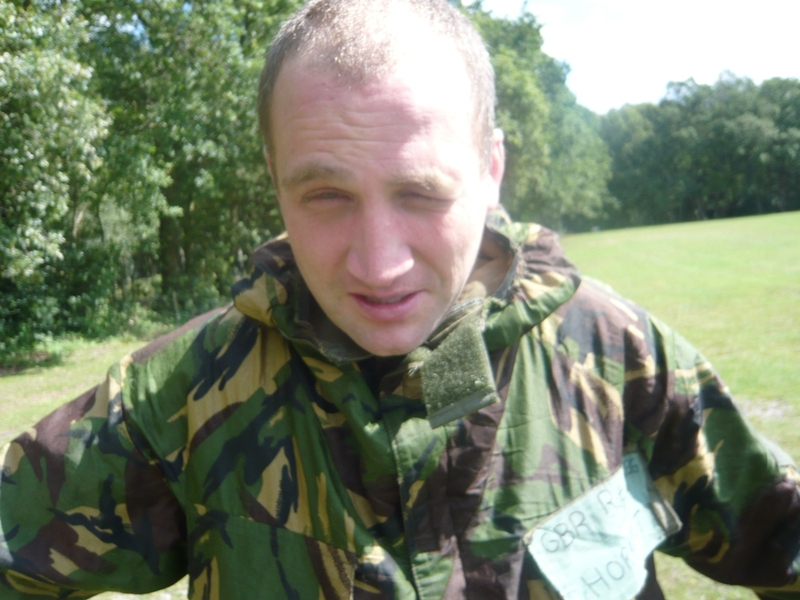 Recruit Horrix is currently undergoing Phase 1 training at the Army Training Centre Pirbright (ATC(P)). Upon successful completion of the 14-week course he is set to start training at Blandford Camp as an Electronic Warfare Systems Operator. I was born Terry Dean Horrix in Slough, Berkshire and have lived in and around London for the majority of my life. I had been working in London for the previous three years as a recruitment head-hunter for the investment banking sector. It was a good career but I felt that I wanted more from life and to challenge myself more than I currently was. Fitness has always been important in my life, I represented Arsenal FC as a schoolboy and have Boxed since I was 13. I was looking to find a career which encompassed fitness, travel, new experiences and a job where I would be making a difference. The British Army to me amalgamated all of these ideas and I decided to go for it. So week eight is here and we have our halfway exercise. This is an exercise I have heard a lot about, good things and bad. We started the Monday morning with a four-mile tab, I guess it is just to get the blood going prior to deploying on exercise on the Tuesday morning. The tab was hard going and you need to grit your teeth, but everything comes to an end eventually. We then spent the afternoon preparing our exercise kit and ensuring we had everything required. Early rise on the Tuesday morning, get a good breakfast down and then get your exercise head on. We deployed about 10 am. When we got there it was straight into the exercise, loading up with ammunition, getting into a defensive formation and camming up. We then walked up to our harbour area. This felt like about a two-mile walk up some pretty steep hills. I’m sure the training team wanted to test our mental strength even before we got the harbour area. After ensuring the harbour area was safe we started to dig our beloved shell scrapes. After about four hours’ hard graft, they were complete. After this, the rest of the first night was spent getting into routine and completing rotations on stag. Early rise on Wednesday morning, completing our morning routine and ensuring we completed this within the hour allowed prior to our test the following morning. This was a pretty intense day, where we were taught many different things which we were to be tested on the next day. These included; fire and movement, observation, target indication, judging distance and camouflage and concealment. This was a really good day as you were learning really important soldering skills, and that you know you would utilise throughout your career. We were taken on a patrol in the evening and taught how to complete this properly, which was really good. This was definitely the stuff I joined up for. Following this was evening routine and more joyous stag! Thursday is test day on Exercise HALFWAY. First test was our morning routine where we had an hour to get ourselves and our rifles combat ready, i.e. clean. Completed this fine and passed first time which is always a big relief. We then had our test on fire and movement which was intense. Again I passed first time but it was really hard work and you definitely exert a lot of energy. Following this, we had our judging distances, observation, target indication and camouflage and concealment tests. These were all fine as long as you had paid attention the previous day, although you don’t find out until the Friday if you have passed or not. We went on another patrol in the evening, learning more patrol formations and learning how to get over obstacles as a section, i.e. roads etc. This was really good fun and something which really gets you going. When we got back it was late at night and we went straight into routine. After about an hour we got out first contact, where we had to ‘stand to’. We had about a 30-minute firefight with an ‘unknown enemy’. Once this stopped we were re-issued ammo and told to get some rest, although everyone was on edge waiting to be attacked again. The inevitable happened about four in the morning where was were attacked with some force. We returned a heavy amount of fire and then heard the words ‘prepare to move’. This means our harbour area has become compromised and we need to move. We packed the harbour area up whilst still in a fire fight and ‘bugged out’. We had to run with our full bergans up a steep hill to our hasty harbour. Everyone completed this successfully and it definitely gets the blood pumping. Once secure in the hasty harbour, we went into morning routine and then went to clear out the old harbour and see how much kit had been left. To everyone’s surprise, hardly anything was left behind so the training staff were happy. The last thing we completed on the Friday was section fire and movement, where you are moving in two pairs opposed to one. This was good fun and a good way to end the exercise. We had some lunch and then marched back down to our pick up point. Back on barracks we cleaned all of our exercise kit and slept. I’m struggling to think of a time I have been more tired, I feel like I got about six hours’ sleep over the four days. Halfway exercise was hard, but enjoyable! Back to reality this week with being on barracks, although it was a strange week as on Friday we were breaking up for a two week summer leave. However, before this we had an appointment with the respirator testing facility and this was only going to end one way, with me hurting!! Monday started with a BCD lesson, learning how to deal with bleeding, dislocations and breaks. This was a really important lesson as it’s not just about passing a test in weeks to come but stuff which could enable you to save someone’s life in the future. Then we had circuits where we got worked pretty hard, doing pure circuits and combat conditioning. We were then on the DCCT range in the afternoon completing tests at 100m, 200m and 300m, in preparation for live firing on Wednesday. This went really well, my shooting is really coming on well having been consistent over the shoots to date, but I need to carry this on into our Annual Combat Marksmanship Test (ACMT) in week 11. Tuesday was the day everyone was apprehensive about, this was the day we were going in the chamber to be exposed to CS gas for the first time. Prior to this though we had our first outdoor assault course lesson. This was good fun, but I know this is going to get a lot harder when we have to tackle it with all of our equipment on. Following the assault course was the chamber. Our corporal seemed to be looking forward to this very much. I was put in the last detail to go in the chamber, which meant there would be more CS gas in the chamber meaning we get it worse. We also, got to watch people coming out the chamber coughing and claiming they were blind, which was amusing but I knew my time was coming. So into the chamber I went. Our corporal made us do some dancing in there, to give us confidence in our kit and then it was time to take off my gas mask. Off it came, I got my regimental number out, the corps I was joining, then I took a deep breath. This was when I started choking and couldn’t open my eyes, but the corporal made me tell him how many fingers he was holding up before letting me out – what a gentlemen my corporal is! Coming out of the chamber I was coughing my lungs up and I thought I had gone blind. It wears off after about two minutes and you look back and laugh, but not with fond memories of when you first take your gas mask off! Was a fun day all in all though. We completed our live firing 7 on the ranges on the Wednesday. This was live firing in different positions at 100m, 200m and 300m. I fired really well and got 159 points out of 180. That put me 3rd in our troop, so I was pretty pleased with that. Also, gave me more confidence going into my ACMT as long as I keep applying all the marksmanship principles. On Thursday morning we had a swimming PT session which was hard graft. You think it might be easier than circuits or a run, but it’s really not. We then had a lesson on BCD, and our map test. 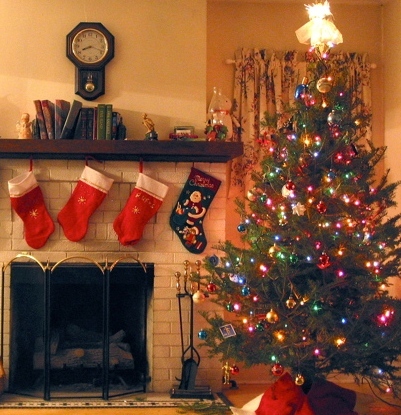 We had 40 minutes to complete it, which went well. Map reading is actually pretty good fun. So on Friday morning we had our last hurdle before two weeks off. We had an outdoor PT assault course lesson. This was a lot harder than the first one, but really enjoyable. Takes you back to being a kid and jumping over things although you seem to have a lot more fear now. Once the assault course was completed we got changed and went home for a nice long two week break, oh and of course a nice few beers!!!! A huge culture shock upon coming back to Pirbright this week after having two weeks off and sunning myself in Spain. Coming back was good though to see all the lads and catch up what everyone got up to. Also, I was looking forward to this week as we were going to Wales (Soldier Development Week) for a weeks adventure training. This is spoken of as a good opportunity for us to get to know our troop staff better in a more relaxed environment. After a four-hour coach journey we finally arrived in Sennybridge, South Wales (After stopping off for a Burger King of course). When we arrived we were shown around the camp and shown to our living accommodation, which encompassed all of Mather Troop sleeping in one room. The rest of Monday was relaxed, not really completing any activities apart from preparing for our hill walking the next morning. Our first activity was hill walking which was walking ten miles across the Brecon Beacons in our group of five with a corporal. This was a really hard but really enjoyable day. We walked up some of the biggest hills I have ever seen (and down them luckily). The day was very relaxed, but had a serious undertone in map reading to ensure we could all navigate effectively. We even got treated to a burger at the end of the walk so as they say every cloud has a silver lining. 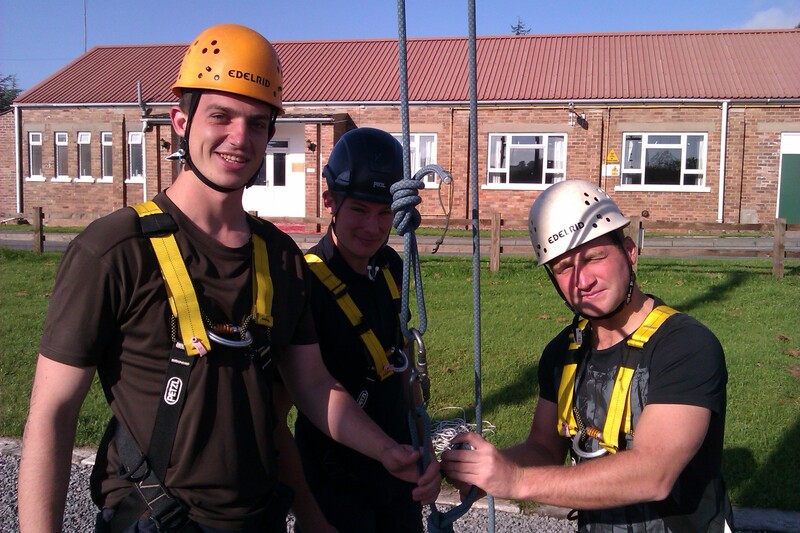 On Wednesday, we completed a day of abseiling and rock climbing. These was two activities I was looking forward to but a little apprehensive about due to the heights. Firstly, we abseiled in the morning. We had to go down the rock face backwards, blindfolded and change the karabiner which attaches us to the ropes. To incorporate the Army’s core values we had to put trust in a fellow recruit who had to direct us how to change the karabiner, whilst I obviously couldn’t see anything. This was massively nerve racking even if you know the instructor has a separate rope holding you. Eventually my feet touched the floor again and I must say I was pretty relieved. In the afternoon we moved on to rock climbing. We had three different routes to scale the rock face, all pretty difficult. After trying and completing all three we had to blindfold our partner and direct him up the rock face. This was interesting to do as they can not see and some parts of the climb you need to jump up or across, which meant they fell off the rock face. Overall, was a good day of activities. Wednesday evening was ‘skit’ night. This is where we completed skits on our training staff. Skits are taking the mick and role playing any situations we have found funny or any mannerisms they have. We performed two which were well received although my corporal did say ‘hope you look forward to Final Fling Horrix’. I sensed a little sarcasm in his voice! Thursday we went caving. This I was looking forward to but had never done it, so was interested to see what it was like. We had to move through the caves in ridiculously tight spaces, going down rivers in the caves and turning our lights off and working as a team to get to a point even though it was pitch black. The tightest space was called the letter box which looked too small to fit anyone through, but we all did even if we had to exhale to compress our chests. Caving was really good fun even if it is a little hairy at times. Rct Horrix and the other recruits about to embark on the high ropes. Friday our group was on camp completing the high ropes and orienteering. The high ropes we worked as a team to get up different ropes and logs, whilst having someone blindfolded and assisting them up. This was good but pretty hard. We then had to do a leap of faith, by climbing up about 20 meters and jumping to grab a bar and hang onto it. This was fairly scary due to my fear of heights, but I was glad once I had done it. We then completed our orienteering in the afternoon which meant running around the barracks in pairs for an hour trying to navigate to twenty points and get the numbers. This felt like an hours PT sessions, but was well needed. We got 5 points off the main score and got 16/20 markers. 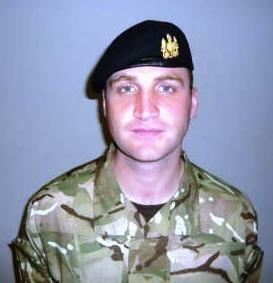 Rct Horrix is currently undergoing Phase 1 training at the Army Training Centre Pirbright (ATC(P)). Upon successful completion of the 14 week course he is set to start training at Blandford Camp as an Electronic Warfare Systems Operator. He has recently completed Exercise HALFWAY and is currently in week 8 of training. The process to get into the army was a long one and fairly challenging. After completing my BARB test and interviews I attended ADSC. I was given an in-depth and thorough explanation on what to expect, but still it is one of those things that you never really know until you get there. I was fully prepared due to a very good recruiter at my AFCO and was looking forward to getting the process started. My ADSC was on a Monday and Tuesday, so I had the pleasure of battling through the mayhem at London Waterloo to get my train down to Brookwood in Surrey. On turning up at Pirbright we got changed into our tracksuits and completed our medicals. I was quite nervous as I had heard numerous stories of people failing due to heart murmurs which are out of your control, however the medical went fine and I was passed fit to carry on ADSC. The rest of the Monday consisted of giving a talk to a group about me, jerry can carry; bag lifts, a Technical Selection Test (which is a maths test and a grenade lesson). Tuesday morning started with a test on the grenade lesson from the previous night to test our ability to retain information. This is not hard, but you definitely need to take note and revise from the night before. We then completed our 1.5 mile best effort run, where I got a time of 9.16 which I was fairly pleased with. Following this, we completed our team tasks, which are imperative to getting a high grade at ADSC. I ensured I put across strong ideas, whilst listening to the group and pushing the activity along to completion. I then finished my final interview, where I was told I had received an A grade. After an eight month wait, my time to start Phase 1 training had finally arrived. It was quite tough leaving my previous life which had been very comfortable and one where I had pure autonomy as to what I wanted to do, where and when. I knew though, this ‘comfortable life’ was not for me and I needed to be challenged even though I was not sure what to expect! The first couple of days primarily consisted of administration. We were sized up for all of our kit, made to fill in all required forms and complete another medical to make sure we are fit to complete Phase 1 training. Again, the medical went fine, but we had to receive a number of different immunisations, so if you hate needles, you won’t enjoy this part of training! The rest of the week consisted of introductory briefs regarding different lessons we would be having on the course and we also completed our fitness tests again to make sure we had come to Phase 1 in good shape and not ‘monged it’ as the corporals like to say. This was the week where I really felt like we started training properly. The two main focuses were physical training and skill at arms (SAA). SAA is lessons on how to use and handle the SA80 A2 rifle correctly, understand how the rifle works (mechanics) and how to clean it in adverse weather conditions. 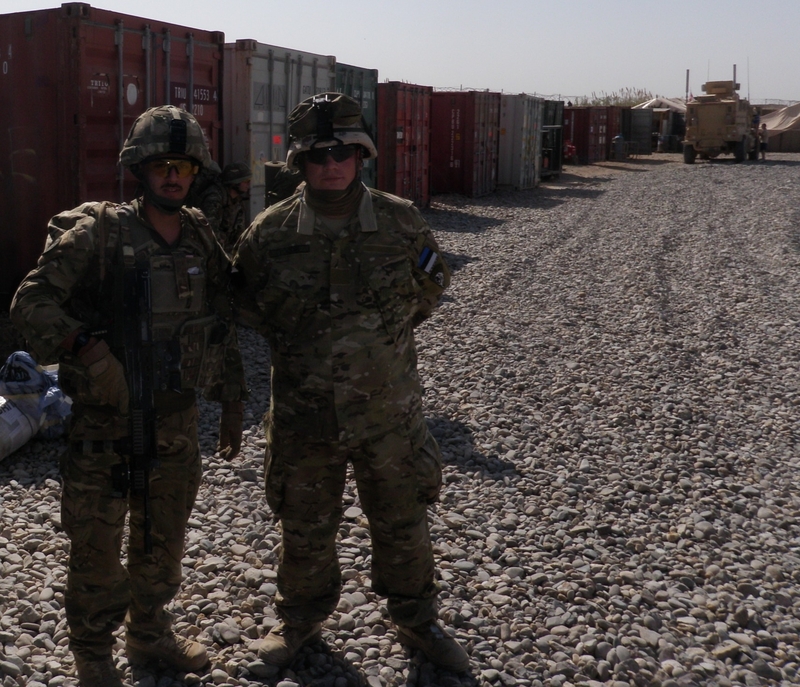 I really enjoyed these lessons as you start to feel more like a soldier, but there is a lot to learn and there is a lot of revision, these lessons do move at some pace. Going back to the physical training, we completed our first endurance run. This incorporated “fartlek” training and hill runs. This was a session where I thought I was going to die. We had to run up the lovely ‘concrete hill’ six times, which definitely tests your mental and physical endurance, but on completing the run you do feel really good and have definitely pushed yourself harder than you would training on your own, obviously with a little ‘encouragement’ from the training team. The pace of the course really starts to pick up. We completed more skill at arms lessons to get ready for the Weapons Handling Test the following Monday. The rest of the week consisted of lessons on injury prevention, drill, physical training, map reading, substance misuse and a swimming test, a pretty intense week all-in-all. Started with the Weapon Handling Test, this is a test to ensure you are competent and comfortable working with the SA80 rifle, which I am pleased to say I passed. This meant that I was ready to go on the DCCT shooting range. This is a computerised range which is very accurate in seeing how good your shooting is I’m pleased to say I got 2nd best shot in the troop. We also had our first boot run which was hard and an experience I will remember. You just need to grit your teeth and push through. We also had our first live shoot on the range; it is a strange experience firing a live rifle for the first time, but one which I definitely enjoyed. Additionally, we had our first counter IED lesson which was really interesting, definitely my favourite subject so far. Week five is mostly based around Exercise FIRSTNIGHT. This is a three day exercise where you learn how to operate in the field, build a base called a harbour, camouflage and concealment, firing manoeuvres and many different things. My favourite was learning all the firing manoeuvres as this felt like proper soldering. The worst experience was digging shell scrapes. These are your living quarters where you dig a hole in the ground to sleep in, this was tough. After four hours of hard graft I finished, We then had a three mile tab back from our first exercise which tested your resolve as you were tired, hungry and moving along at a fast pace, but like everything in the Army, you need to grit your teeth and get through it. Into week six, this is referred to by recruits as “Hell Week”. This is due to the large number of inspections we had, coupled with completing lots of drill….not my idea of fun. Monday morning started with our Troop Sergeant’s inspection which went well. This helps your confidence for further inspections, but you cannot rest on your laurels. Following this, we had an interval training session on the running track, this really pushes your fitness to its boundaries and definitely assists in bring down your 1.5 mile run time. We also had our first battlefield casualty lesson which I found really interesting. This is a critical skill, so it is a class you pay the utmost attention in. We also spent a lot of time at the shooting ranges completing our LF4 and LF5 (Live Firing) which we fired at 50m and 100m. This went well and I got some good groupings with my shots. Shooting is something you have to really concentrate and focus on otherwise the smallest movement means your shots can spray all over the target. Our mid week was taken up with inspections and practising drill ready for our drill test the following Monday. Drill is not the most exciting activity, but is essential for teaching discipline and it does look good when we are all in step. We also had others lessons this week, map reading and CBRN (Chemical, biological, radiological and nuclear). 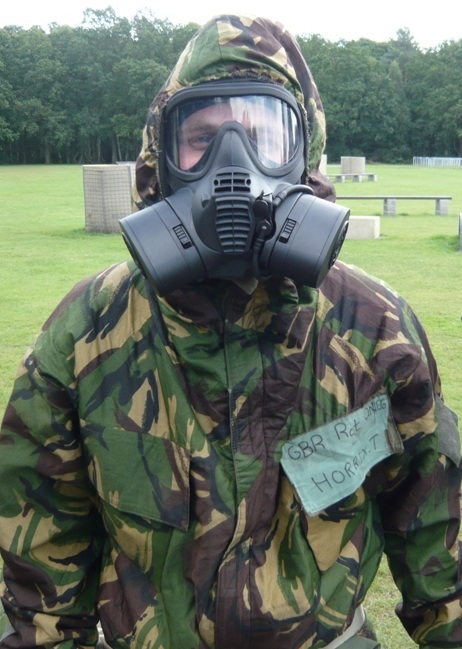 We learnt how to put on our CBRN suits and gas masks ready for the respirator test facility (gas chamber) in week nine. I get the feeling our corporal is looking forward to this! The Monday of week seven is hugely important. The week started with our Sergeant Major’s inspection, which is the big inspection we need to pass. This went well; I got picked up on a couple of things, but nothing major so I passed….a big relief!!!! Following this, we had out PFA, fitness assessment, to see how and if your fitness had progressed since being at Pirbright. I completed all the lifts and carry fine. I then got 9.06 for my 1.5 mile which I was fairly happy with but I did really want to go under 9 minutes. The afternoon consisted of our drill test. The most nerve wracking thing is the inspection prior to completing your test. All of your kit has to be immaculate which mine pretty much was apart from losing half a point for a mark on my shirt. The drill test went well and I passed which was a big relief, even if we did make a couple of mistakes. The Tuesday of week 7 consisted of our Phase 2 visits, which I had been really looking forward to. I had only seen one military barracks here at Pirbright, so I thought it would be interesting to see the standard of Blandford Camp. First impressions were good, look clean and have some good amenities to use when we get there, i.e. a bar! As I am going into Electronic Warfare there was only so much we could be told due to our security clearance, but nonetheless the day was highly informative and really gave me a good buzz in regards to getting to Phase 2 ASAP. That evening was spent getting ready for our final ‘official’ inspection. This is by the Officer Commanding 1 (Fowler) Squadron. So, first thing Wednesday morning was the OC’s inspection. This went well and was a relief to get the last inspection completed. 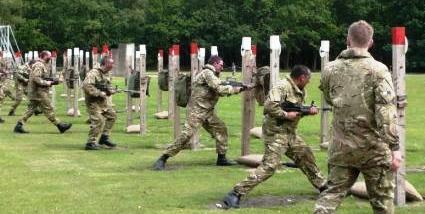 We had heard rumours that we were having bayonet training on the Wednesday afternoon! It seemed as if we had annoyed the corporals as they kept sending us for runs around the block and press ups, we were then told we were being worked up for bayonet training. The actual bayonet training was really fun but extremely hard, probably one of the hardest sessions I have completed in Phase 1 training. The corporals also made us realise the sacrifices made by our fellow soldiers killed in action and told stories of their tours of duty. Thursday finally arrived; today I get to wear my Royal Corps of Signals cap badge for the first time on “Families’ Day”. We had numerous demonstration stalls, I was selected to go onto the weapons handling stand, helping to narrate as I apparently ‘like to talk’ says my corporal. I was also demonstrating firing positions and loading the rifle in front of the families. After this was completed we were free to go and enjoy our long weekend….ah the sweet smell of freedom. R&R is just around the corner and the joy of having lie-ins and a few cold beers on a hopefully sunny July afternoon puts a smile of my face as I post this. With more people going on R&R in quick succession the work load seems to be never ending. Everyone is now looking at their watches and seeing the days flying by. I am really looking forward to seeing my family and girlfriend and spending some chilled out time before coming back and finishing the second half of my tour with renewed vigour. There are a lot of special occasions that have happened in the UK whilst we have been out here, noticeably the Queens Diamond Jubilee. Watching this on the T.V on a British forces news channel was a real morale boast, as was the added touch of receiving a little jubilee box filled with teabags and biscuits which spread a little joy around the camp. Within my location there have been vast improvements in the overall living and communications lay out since I arrived in Combined Forces (CF) BURMA. When the 1 Royal Welsh battle group (BG) arrived we were the second British battle group to have been here and you could tell. After three months of hard work from everyone within the communications bubble here in FOB OUL the difference is remarkable. My training at the school of signals in Blandford was a very intense and complicated but has served me well in work as there is even more to strive for within this tour with the challenge of installing and linking together a complex and hopefully rewarding new set of communications systems… The user guides supplied at the end of the course in Blandford were definitely needed in the packing list and it has paid off! With the Forward Repair Team (FRT) soon to deploy to this location the RSIST (Royal Signals Infantry Support Team) Comd can now stop having nightmares about the TiGR system, to quote his feelings on this new capability, “IP this IP that! Bring on boots and haircuts!” However there are still some more minor hurdles left to overcome so probably a few more grey hairs on the horizon Staff! As my location is constantly being updated with the latest equipment it is important that this incoming material is managed and accounted for correctly. 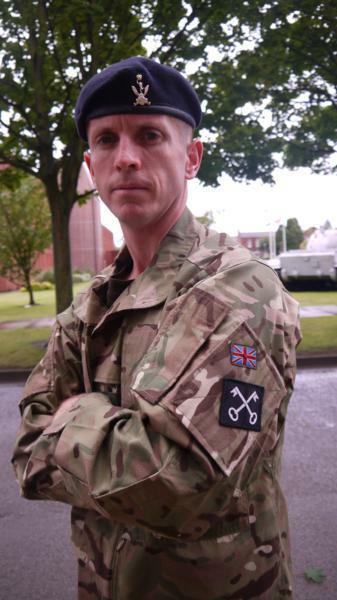 Alongside being a communications systems operator I am also the second in command of the BG Stores under the RSIST Comd. This breeds many new challenges that I have never come across before. With the constant influx of people coming in and out needing different items the work literally never stops. Morning, noon or night we are constantly on call. And with that, I’ll have to get back to work. I look forward to communicating again soon, LCpl Whittaker.